Starting and establishing a business and a client base is no small feat, but keeping it running while you wait for said clients to pay their bills is a challenge in and of itself; you’ve got employees to pay, products to make, and services to offer, but you have to wait for their money to go through while struggling to stay afloat. Luckily, you have a life raft close by in the form of your accounts receivable. Accounts receivable describes the money owed to a company by its debtors. Invoice factoring services include the sale of these accounts receivable (invoices) to a third party (called a factor) at a discounted rate. The invoice factoring process eliminates the waiting period, giving you your money immediately while the factor takes a small percentage. Many invoice factoring lenders will be able to get your money to you within a few short days — after allowing 48 hours to get your first funding set up, they fund you in less than 12 hours of receiving your invoice schedules. Your money is now at your fingertips, ready to be utilized in a way that will grow your company even further. The benefits of receivables funding are obvious: no more twiddling your thumbs, waiting and hoping that today’s the day you get paid for the services your company provided. The alternative option involves small business loans, yet these require years worth of financial history as proof and can take ages to go through, bankrupting your company before it even had a chance. Additionally, many banks require a thorough credit history and will deny your request if your business’ credit score is below 680. 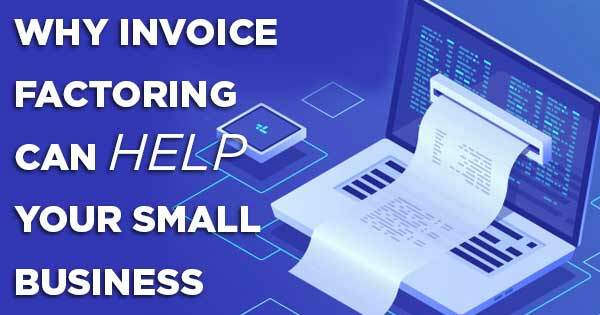 Invoice factoring solutions offer new businesses (start-ups especially) some breathing room — enough space to move forward without sinking deeper into debt. When you really think about it, it seems obvious: this is your money, it simply hasn’t been paid to you yet. If you find your business straining under the weight of its account receivables, unloading them may be your best — and quickest — option. Find invoice factoring solutions through accounts receivable financing companies, and do what you do best: run, manage, and grow your business.